Except it's not that easy. Here's one thing no guru will tell you: success is hard and the further you go, the harder it gets. The further you go, the harder it gets. This is important, because a lot of times, it's ignored. When would-be entrepreneurs start a business, they hope to eventually sit back and coast on the revenue stream, having paid their dues early on. The sad truth is, most businesses don't work like that. Often, the more success you have, the more you grow, and the more success you need to sustain that growth. Instead of getting easier, the challenges become larger in scope as the stakes become higher. There's a reason why more than half of small business fails within 5 years. If you’re one of the lucky ones that make it past the five-year mark and $1M in annual revenue, the simple truth is it doesn’t get any easier. The guru’s pitch about passive income, working 15 minutes a day, and making millions on the beach sounds amazing. I admit… The Four Hour Work Week changed my life when I read it in 2007. But it's just a mirage to the majority of entrepreneurs. The reason why it gets harder as your business grows is because the skills that helped you start your business are often totally different from those skills it takes to manage and lead that business to success. You have to adapt, and that's difficult for many people. You have to let go of the daily things that make you successful and think strategically. You have to understand that you can no longer do everything and everything takes longer to happen—which is by far the most frustrating part! With that said, why would any sane person want to build their own business? If your only reward for success is longer hours and more struggle, why keep going? Because a steeper climb isn't the only reward. As the stakes grow higher, as your company grows more, so do the financial incentives. So does the acclaim. So does your own inner strength and sense of purpose. And, perhaps most important of all, you're your own boss. You get to call the shots. But the struggle is real; the climb does get harder. And as it becomes harder, it's important to ask yourself why you're in the game, and how you're going to cope with these new challenges. I understand the business of hard money loans because I LOVE IT! I love the risk/reward, I love the people, I love the math, I love the creative solutions… I love it all! It's my passion—and working on your passion is its own reward. People trust me because I'm not afraid to have the tough conversations and tell them the truth—even when it doesn’t benefit me. Because of reason #2, I'm able to build relationships with people that will ultimately create real and lasting mutual success. This approach has been described to me as “shoulder to shoulder” sales—and it's where I shine. Everything else… I’ve learned to defer to people that are a lot smarter than me. I spent the first three years of Rain City Capital all by myself. From 2009–2012, I was basically begging people to trust me with their money, even though I just lost my entire net worth. Talk about an uphill battle! I did every little loan I could do and then called the borrower once a week to see if they were going to pay me off. I drove by the house of my first loan every two weeks until it paid off four months later—it was the longest four months of my life! 2012 was when Rain City hit the “hockey stick” of growth. Since then, we've grown to $200M in annual loan volume, almost $100K in annual charitable giving, and a team of twenty-eight amazing and dedicated people who have fun and get s#!t done. Although I'm proud of my company's success, the simple fact is that I have very few discernable skills. I'm completely unorganized and lack experience in growing a company. My shortcomings were highlighted every step of the way. But now, I have twenty-eight people staring at the least skilled person in the room looking for answers. Imagine being the teacher and all your students are smarter and more capable than you but expect you to show them the ropes. It isn’t easy; however, when I talk with successful entrepreneurs, the one thing I see is people being themselves and hiring to their shortcomings. We all have shortcomings… Understanding yours and owning them is what separates the most successful entrepreneurs from the rest. The further you go, the harder it gets, but if you hire the right team to share the burden, you'll make it to the top. 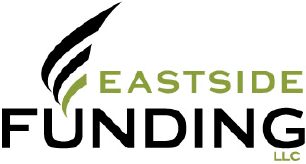 Funding, LLC. Between April 2006 and September 2008, Stone Capital closed a large number of distressed real estate purchases with Rea as its primary loan originator. At the same time, Rea also managed the company’s operations and loan portfolio to ensure that all loans were paid at maturity. As a part of his personal investment portfolio, Rea has bought and sold over 50 distressed real estate properties since 2003. 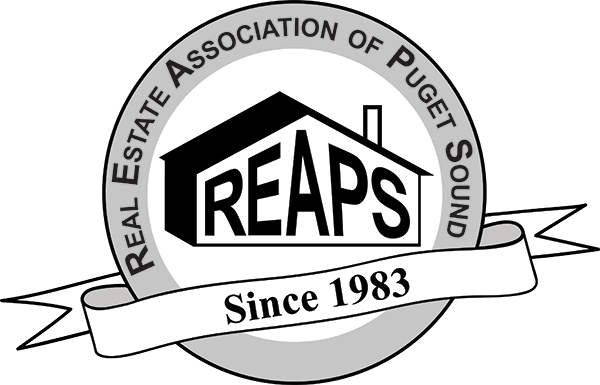 In August 2016, Rea was named to Puget Sound Business Journal’s “40 Under 40” list.